“As most of my followers can sympathize, traveling with food allergies is not a simple task, not to mention extremely stressful and takes lots of advance planning. We travel quite a lot with our food allergic boys and although it has gotten easier over the years, it’s can still be challenging at moments. Read this wonderful review, at my client’s blog, Small Town Allergy Mom. 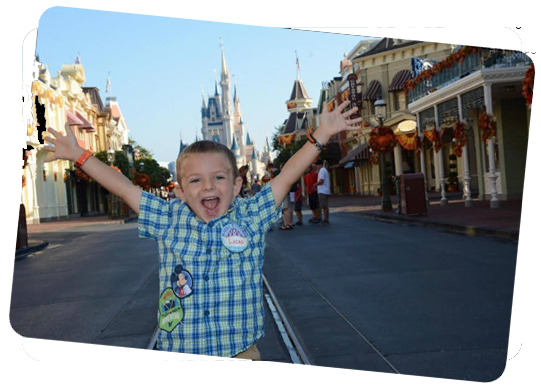 See more Disney food allergy testimonials and photos from my Facebook page here. 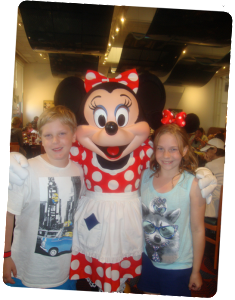 Lizzie was very knowledgable about dining with food allergies at Disney. As a mother of a child with multiple food allergies I was very hesitant about allowing someone else to prepare food for my child. Lizzie’s experience with her own daughter at Disney, coupled wither patient manner convinced me that I could trust Disney to accommodate my daughter. In addition to providing information about the variety of dining options for my daughter/family, she also gave us tips on how to navigate the airports, flights, parks and resorts with serious food allergies. Although food safety was the most critical component of our trip, Lizzie also was very good at giving me ride recommendations and discussing advantages and disadvantages of the different resorts. She also went out of her way to secure all of the best coveted dining reservations for character breakfasts and dinners for me at the crack of dawn on her own vacation! Thanks to Lizzie, we were able to dine on the days and times I wanted at BOG, CRT, CM, AKER and many more! We really appreciated that service! We will use her again, to book all of our next Disney trips! Lizzie gave me great advice from the first conversation to the last. She added things that I would not have thought of on my own. She also told me what was the best use of our dollars and what was not the best, but still let us decide if it was for us. Will definitely contact her again for our Universal trip, whenever we decide to do it. 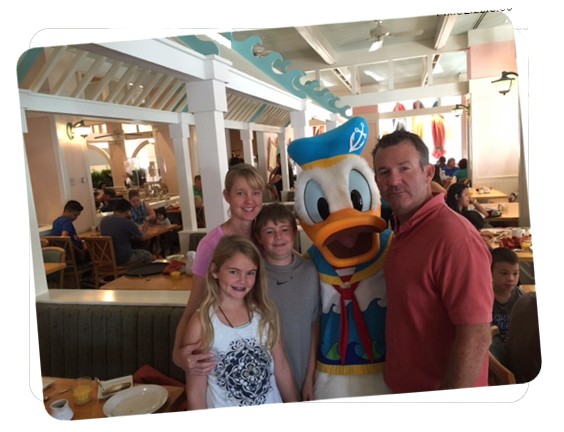 – The Dunn Family, Walt Disney World, Beach Club Resort, October 10-17, 2015. Lizzie made traveling possible for our family. Both of our children ages 10 & 8 have food allergies and this was our 1st destination vacation. 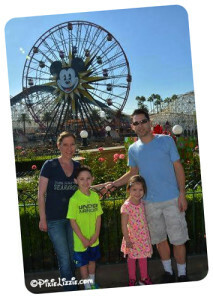 She helped with all the logistics of Disney, dining, food allergies, fast passes & lodging. The only reason we went to Disney was because of her experience with food allergies!!! She is very knowledgeable!!! We are going back next year thanks to Lizzie-my husband loved the vacation. Lizzie was amazing at planning our entire vacation but most importantly she helped book and schedule our meals. With a peanut allergic daughter I was beyond nervous to eat out and Lizzie helped calm my fears and allowed for us to have an amazing vacation. Every restaurant we went to were already aware and prepared for our visit with allergies. My daughter even had dessert. Lizzie provided us with all of the information and resources we needed to feel comfortable taking our food allergic children to Disney. Lizzie answered every question and concern we had in a timely manner. 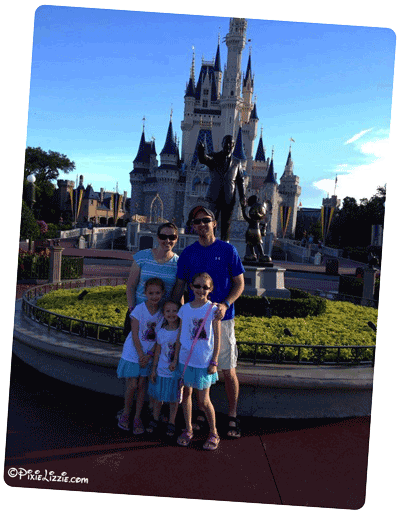 She looked into different options for us and let us know the pros and cons of services, parks, resorts, etc… I spoke to another family who was planning a Disney trip around the same time we were planning to be gone. 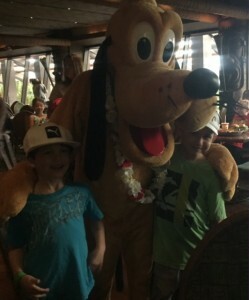 they were currently at Disney and never got back with me after that email. allergies were an inconvenience to anyone at Disney and that felt wonderful!! Liz was very energetic and enthusiastic from the moment we spoke first. likely saved us some heartache. might add. That all worked out very well. quirky – that has nothing to do with the travel plans or Liz though).